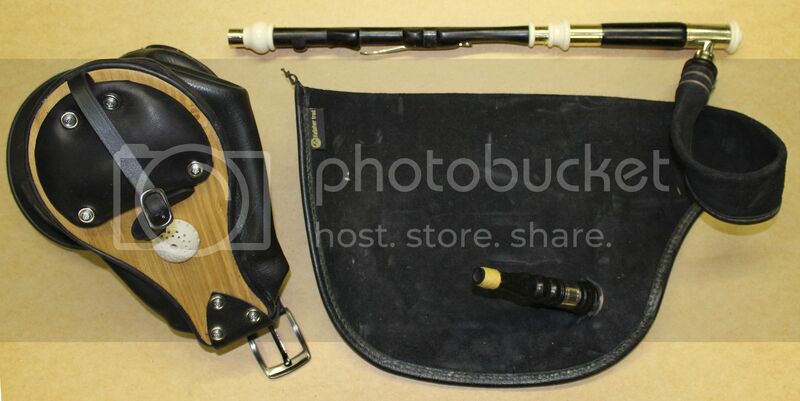 Sell your pipes, reeds, bellows, whatever, here. 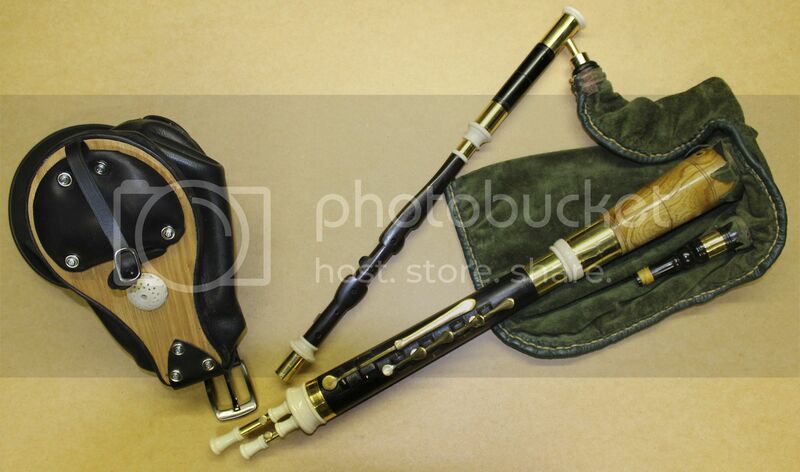 SOLD McGregor Style Barrel Set: Chanter with c' key blocked for additional 5 keys (Eb,F,G#,Bb and d') , Barrel unit in his unique rationalised style with Baritone and Bass Drones and Tenor and Baritone Regulators. Tenor has 4 keys giving F#, G, A and B and Baritone a Single D key but with extended touch so it can be used with lower four keys of Tenor. 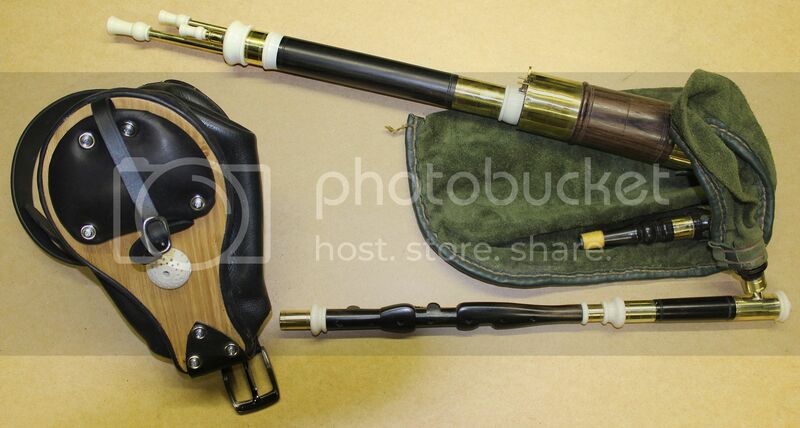 In Ebony, Brass and Imitation Ivory. 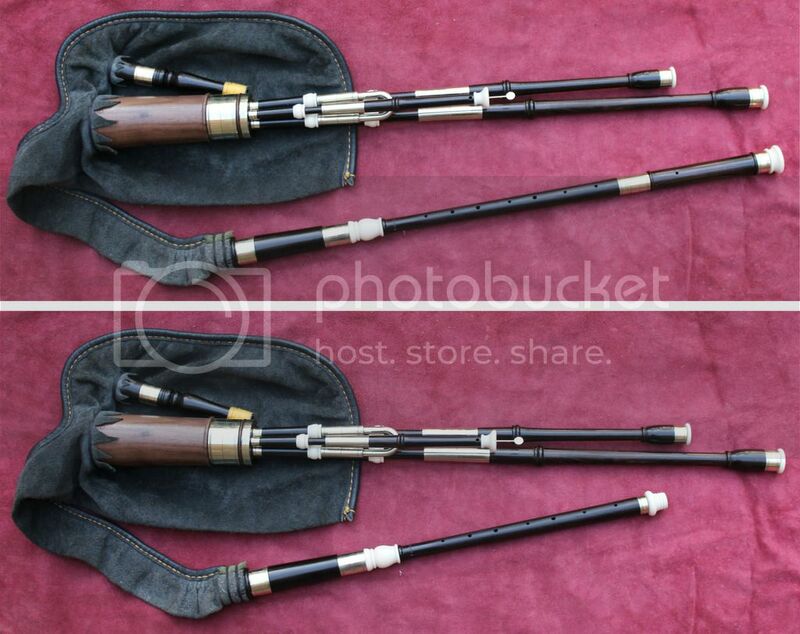 Full Set in the O'Mealy style comprising: Fully Keyed chanter, Three drones, Four Regulators Contra Bass, Baritone and Bass plus additional Regulator for E in Ebony, Nickel Silver and imitation ivory.